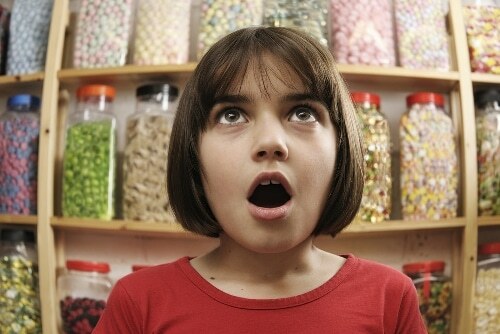 Ever see kids who are completely overwhelmed in a candy store? You know, where there’s so much candy they just can’t figure out which one to get? Well, choosing a language teaching method can sometimes be as confusing. One can easily be overwhelmed, spoiled for choice by so many wonderful methods for teaching a second language. The post you are reading right now understands that pain and sets out to wade through all the good and great, and will give you five smart tips for choosing the appropriate teaching method. Before we get to those five, we really need to adopt the right mental approach for these different schools of thought. The different teaching methods are powerful, with far reaching influence that extends beyond our classroom walls, but in order to deploy them efficiently and benefit from their wisdom we need to approach them the right way. How Should We Look At the Different Teaching Methods? You, of course, know that the techniques and tactics embedded in any given teaching method reflect the underlying beliefs held by their founders and proponents. For example, the Grammar-Translation Approach believes that language is composed of building blocks and that there are specific rules to be followed when combining these elements. So, adherents of this method expose students to nouns, verbs, adjectives and teach the different grammar rules to be observed when building sentences. On the other hand, the Natural Method believes that the first language provides the template and clues to effectively teach a second language. So it embraces techniques that simulate how children learn their mother tongue. Here, an emphasis on listening and comprehension is readily observed. So much so that in the first phase of the Natural Method, students are not even required to speak because, hey, there was a time when we were babies and all we did was listen. And look how far we’ve come. Like in the other fields, the different teaching philosophies could contradict and dispute, support and bolster or even be indifferent to each other. The first job of a language teacher is to know her own beliefs. Then she needs to survey the landscape and look for different second language teaching methods. Only then can she choose a method or methods that resonate with those beliefs. It’s probably safe to say that no single approach can adequately ensconce something as complex as language. So if you’re looking for a panacea, a silver bullet, a single school of thought that will take you to the promised land, you’ll promptly be disappointed. The different teaching methods focus on different aspects of the language. Some focus on writing skills, others on speaking skills. Still others are contented with just reading proficiency and having the student understand the target language’s literature. For example, we’ve got the Grammar-Translation Method, the Natural Approach, the Audiolingual Approach, CALL, CLIL, the Communicative Method, the Reading Approach, TPR, TPRS, Suggestopedia, the Silent Way, etc.—and that’s just for starters! Each has a matrix of strengths and weaknesses. A method might work great on beginners but come up short for more advanced learners. A method might work well for auditory students, but mean nothing for kinesthetic ones. Or it might be effective in saving vocabulary in long-term memory, but it just does it too slow. A seasoned second language teacher is like an expert violinist who can play different genres, different tempos and different crowds. She can read the classroom situation in any given school day and look for a way to get the job done. She can weave in and out of the different methods and give her students a premium experience. Dogmatism to one method is not for the language teacher. Doing so will greatly limit what she can do, because, as we already said, at the heart of all these methods are their very own weaknesses—weaknesses that might be exactly the strengths of another. In the next section, we’re going to go through five ways any language teacher can get a handle on the myriad of methods. You have to know the day’s mission. What do you want to achieve when the bell rings or at week’s end? Do you want the students to remember plenty of vocabulary? Do you want to sharpen their ear for the language? Or, do you want them to get plenty of practice speaking the target language? Knowing the objectives is half the game. Objectives basically point to the methods and techniques to use. So instead of being dogmatic to one school of thought, keep your options open and be on the lookout for the appropriate method for your specific goals. But awareness of your goals is just the first step. What good will that do you if you can’t pair it with the appropriate method? That’s why you should give yourself the chance to survey the landscape. Know your options. Yup, this means good old research. I suggest that you bring out those index card and list the “Advantages” and “Disadvantages” for each method. Like we mentioned before, no method is perfect. No proponent is infallible—regardless of decades of teaching experience. They’ll have their “blind spots.” It’s your job to have those virtues and blind spots listed on a piece of index card. So that the next time you’re planning something special for your students, you can just flip through your catalog and pick an appropriate attack to the lesson. Now doesn’t that make you feel a little better? The ability to receive and quickly respond to feedback is one of the most important traits for the second language teacher. If you are overwhelmed by all the philosophies, methodologies and pedagogical systems, one way of shutting out all the “noise” is by looking straight into the eyes of the people you’re teaching: the students. Sometimes, the choice of method is not ours to make. Students will practically tell us how they want to learn, or what works with them. We only need to take note of what they’re telling us. You can point blank ask them, “Do you guys wanna play a game, or do you wanna hear a story?” The more erudite thing to do is to observe how your students react to the different activities that you feed them. Which ones are they most excited about? Which ones suddenly produces palpable electricity inside the classroom? Read their body language. Are they leaning in and watching everything when you ask two of their classmates to do a conversational role play? Or do they not pay any attention, just going about their business (doodling), thankful that you didn’t call their name? Look at their test results. On what topics did the kids do best? Perhaps the method you used in teaching it helped a lot. On what topics did they do worst? Perhaps some other method/activity will help do the trick. A second language teacher should be aware of these classroom dynamics. She should be observant enough to know the students’ reception of her lessons and not adamantly push her own agenda. The Round-robin Technique is very simple. Instead of picking one or two methods, you resolve to give all the different methods and their concomitant strategies a shot. This technique ensures that variety is injected into your classes. Come to think of it, when it comes to getting students’ attention and keeping them engaged, variety (novelty) becomes a good technique in and of itself. Stories get old, games have an expiration date. But when you’re able to space them so that they’re non-repetitive, your class will closely tune in to the course. If you exploit this to the hilt, imagine what it’ll be like for your students. They won’t likely know what you’re going to do next because, from experience, they know you’ve always got something up your sleeve. Last time, you brought French food to teach proper French pronunciations. Last week, you had an effervescent French graduate student share her troubles living in Paris. The week before that, you taught vocabulary through repeating songs à la Audiolingual Method. “Gee, I wonder what’s next.” They’re itching to find out. Nobody wants to miss your class. And because they’re having so much fun, they’re already speaking a second language and don’t even know it. What if the different methods are like car engines? You lay all of them on a big mechanic’s table. You look at the different machines and pick out the best parts of each. You Mix and Match! You get a piston here, a crankshaft there, an alternator from that one and a cylinder from this one. You might love, for example, the possibilities of the Direct Approach, the freedom brought about by the Communicative Method and the level-headedness of the Functional-Notional Approach. So, you don’t pick a whole method or a school of thought this time, but elements of each that resonate with you—that you think will be a delight for your wards, that you think will get the job done. So in the end, you’ve got an approach to teaching second language that’s made up of the best of the best, a super hybrid of sorts—a responsive method tailor-made for the class. So, in a regular session for example, you may open with storytelling techniques from TPRS (Teaching Proficiency through Reading and Storytelling), hammer those concepts embedded in the story through techniques from the Silent Way, and finally give a quiz using the Grammar-Translation Approach. So instead of reaping the benefits of one method, while putting up with its limitations, you do a workaround and, in a puff of creative inspiration, come up with a method all your own. You can easily narrow down your choices by eliminating methods that are, for example, impractical, age/learner inappropriate or those that lie outside your current skill set. For example, a method might require all your free time for prep—rendering it impractical. Methods are innately reflective of the environments that spawned them. So when you try them out in your own classroom half a world away (or several decades later), they don’t work as expected. This might be because the method was conceived for very specific set of circumstances. For example, techniques that are heavily technology-dependent wouldn’t be possible in countries where electricity is a problem. Or a method like Grammar-Translation, where the students’ mother tongue is mainly used to explain the target language, wouldn’t work as well when you have a class where individual students speak different mother tongues. Some methods couldn’t contemplate contingencies like shortage of material, lack of time or different student motivations—things that a teacher faces every day. By virtue of these limitations, you are able to disqualify the methods that don’t fit your particular situation. So what you’re left with are those that you can work with, those that can actually help your students get that second language. So there you go, five ways that help you choose from among the many wonderful teaching methods or approaches. Use them to zero in on those methods that help get the job done. You’ll never be overwhelmed again, because you now have the tools that simplify your choices.